The recipe below I picked up from a cookery show hosted by Aditya Bal. 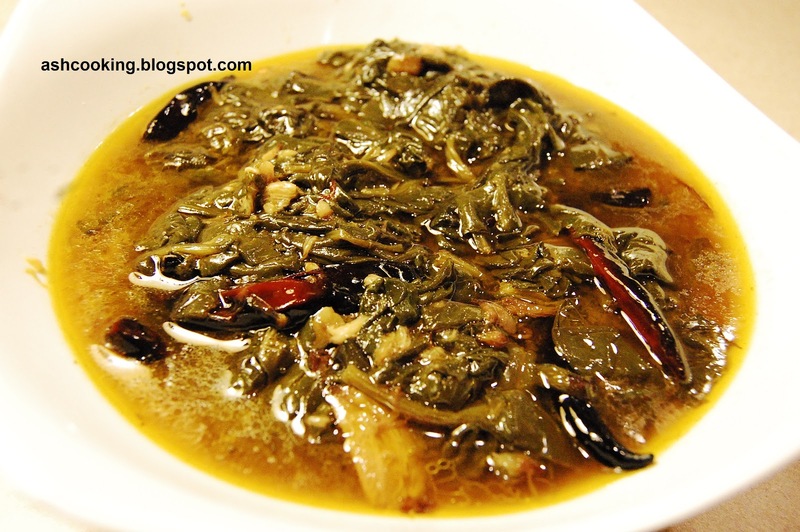 It is a staple food item in Bal's home and his generosity of sharing the recipe with public made it possible for me to cook something so tasty yet highly nutritious with spinach. Hope you all would give it a try! 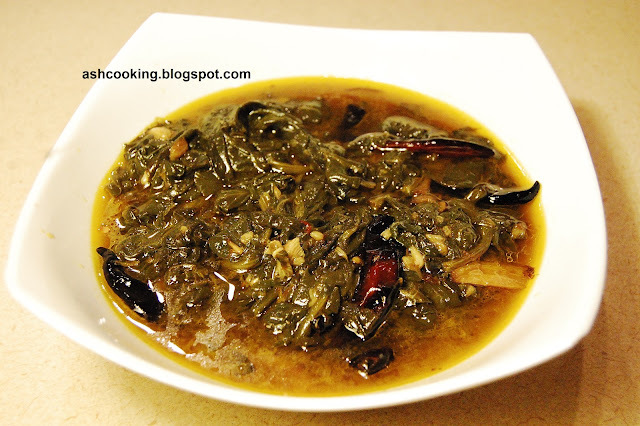 1) Heat mustard oil in a wok and oil turns piping hot, toss in cardamoms and dry red chillies. Allow them to crackle before adding the garlic cloves. Brown the garlic. 2) Then add the spinach followed by salt and 1/2 cup of water. Cook covered in a pressure cooker and give one whistle. 3) Serve hot with rice. Easy! Isn’t it? This Spinach seems delicious; and the pic is so good.